Girls Ministries meets every week on Sunday nights at 6pm. Growing in Christ has never been more exciting! Come join us this week and see how much fun we have! 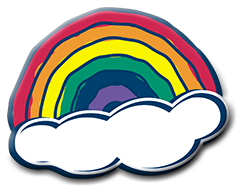 Girls Ministries: Rainbows (boys & girls 3-4yrs) learn with age appropriate curriculum, crafts, and games. Girls Ministries: Stars (girls Kindergarten-5th grade) meet to study the bible and learn about the Lord, character development & missions.